My cupboards are still bare, post Yom Tov, and my fridge is looking even worse. 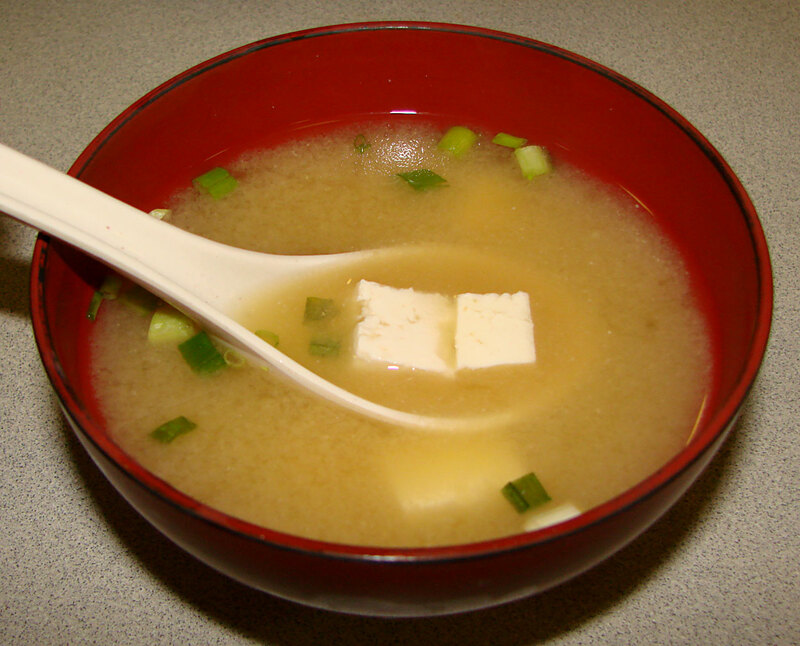 That’s the typical state of affairs around here on a Monday, which made last night the perfect evening for miso soup. It’s just about the easiest soup I make and includes ingredients I always have in stock. I buy miso at Whole Foods, but I’ve seen it in Hungarian as well. I like the Shiro version better than the Hacho, but either one will do. Once you’ve got a packet, it will last for months. That is, if you don’t use it all up. Saute the garlic in olive oil until light brown. Add the mushrooms and saute another 2 minutes. Add 32 oz. of water and tofu and simmer for 10 minutes. Add the Tamari sauce. Remove the soup from the heat and ladle out a bowl full of the broth. Stir in the miso until it dissolves. Add the miso mixture back to the pot. Add more Tamari to taste, if necessary. Serve in bowls, topped with green onions. Whisk ingredients together and let it sit at least 5 minutes before serving.